SB1 SD2 RELATING TO HOUSING. SB5 RELATING TO EMINENT DOMAIN. SB469 RELATING TO THE STATE BUDGET. SB504 SD2 HD1 RELATING TO IOLANI PALACE. SB554 SD2 RELATING TO STATE WATER CODE PENALTIES. SB656 SD3 RELATING TO TAXATION. SB657 SD2 RELATING TO ELECTRIC VEHICLES. SB887 SD2 HD2 RELATING TO TOBACCO TAXES. SB897 RELATING TO WATER QUALITY MONITORING. SB898 SD1 HD1 RELATING TO LAND RECORDATION. SB899 RELATING TO MEDICAL RESIDENCY PROGRAMS. SB900 RELATING TO THE UNIVERSITY OF HAWAII. SB901 SD1 RELATING TO ONSITE NON-POTABLE WATER REUSE SYSTEMS. SB902 RELATING TO HEALTH CARE PEER REVIEW. SB903 RELATING TO POSTGRADUATE RESIDENT PHYSICIANS AND FELLOWS. SB904 RELATING TO MEDICAL MALPRACTICE. SB905 RELATING TO PUBLIC LAND LEASES. SB906 SD1 RELATING TO WAILOA SMALL BOAT HARBOR. SB907 SD2 RELATING TO HIGHER EDUCATION. SB908 SD2 HD1 RELATING TO SUSTAINABILITY. SB909 SD2 RELATING TO THE UNIVERSITY OF HAWAII. SB911 SD1 HD1 RELATING TO HEALTH. SB913 RELATING TO THE JOHN A. BURNS SCHOOL OF MEDICINE. SB914 SD2 HD1 RELATING TO LAND DEVELOPMENT. SB916 RELATING TO THE DISPOSITION OF PUBLIC LANDS. SB917 SD1 RELATING TO LAND. SB918 RELATING TO PUBLIC LANDS. SB919 SD2 HD2 RELATING TO THE UNIVERSITY OF HAWAII BOARD OF REGENTS. SB920 RELATING TO PUBLIC LANDS. SB921 SD2 HD1 RELATING TO THE DEPARTMENT OF THE ATTORNEY GENERAL. SB922 SD1 RELATING TO THE DEPARTMENT OF LAND AND NATURAL RESOURCES. SB923 SD2 RELATING TO THE DEPARTMENT OF LAND AND NATURAL RESOURCES. SB924 SD2 RELATING TO THE DEPARTMENT OF LAND AND NATURAL RESOURCES. SB925 RELATING TO VACCINATION GUIDELINES. SB928 HD2 PROPOSING AN AMENDMENT TO ARTICLE X, SECTION 6, OF THE HAWAII STATE CONSTITUTION, TO MODIFY THE APPOINTMENT PROCESS FOR THE BOARD OF REGENTS OF THE UNIVERSITY OF HAWAII. SB929 RELATING TO THE HAWAIIAN LANGUAGE COLLEGE. SB930 RELATING TO CLIMATE CHANGE. SB931 SD2 RELATING TO MARINE AQUARIUM FISHING. SB932 RELATING TO THE UNIVERSITY OF HAWAII. SB933 RELATING TO PUBLIC LANDS. SB934 SD1 HD2 RELATING TO CONSERVATION DISTRICTS. SB935 SD1 HD1 RELATING TO CAPITAL IMPROVEMENT PROJECTS FOR WATER REUSE. SB936 RELATING TO NATURAL RESOURCE MANAGEMENT. SB937 SD1 RELATING TO CHARTER SCHOOLS. SB938 SD1 RELATING TO THE UNIVERSITY OF HAWAII. SB939 SD1 RELATING TO CHARTER SCHOOLS. SB1024 SD1 MAKING AN APPROPRIATION FOR THE AGING AND DISABILITY RESOURCE CENTER. SB1025 SD1 HD2 RELATING TO THE KUPUNA CAREGIVERS PROGRAM. SB1026 SD1 RELATING TO THE HEALTHY AGING PARTNERSHIP PROGRAM. SB1027 SD2 RELATING TO HEARING AIDS. SB1028 RELATING TO RETIREMENT SAVINGS. SB1029 SD1 RELATING TO AGING. SB1030 RELATING TO ACTIVE AGING. SB1031 SD2 HD1 RELATING TO HOMELESSNESS. SB1138 SD1 RELATING TO THE IOLANI PALACE PARKING LOT. SB1139 SD1 RELATING TO THE DEPARTMENT OF LAND AND NATURAL RESOURCES. SB1140 SD1 RELATING TO THE DEPARTMENT OF LAND AND NATURAL RESOURCES. SB1141 SD1 MAKING AN APPROPRIATION TO THE DEPARTMENT OF LAND AND NATURAL RESOURCES. SB1142 SD1 MAKING AN APPROPRIATION TO THE DEPARTMENT OF LAND AND NATURAL RESOURCES. SB1298 RELATING TO THE DEPARTMENT OF TRANSPORTATION. SB1299 RELATING TO CAPITAL IMPROVEMENT PROJECTS. SB1300 RELATING TO THE KEA‘AU VILLAGE TRANSIT HUB. SB1302 RELATING TO NATURAL DISASTERS. SB1367 RELATING TO PROMOTING DANGEROUS DRUGS. SB1368 SD1 RELATING TO COLLECTIVE BARGAINING. SB1370 SD2 RELATING TO CESSPOOLS. SB1371 SD2 HD1 RELATING TO LAY NETS. SB1372 RELATING TO UNDERGROUND STORAGE TANKS. SB1409 RELATING TO TEACHING HOSPITALS. SB1410 SD2 RELATING TO EMERGENCY SERVICES. SB1490 SD2 RELATING TO THE DEPARTMENT OF LAND AND NATURAL RESOURCES. SB1491 RELATING TO CAPITAL IMPROVEMENT PROJECTS FOR THE BENEFIT OF THE FIRST SENATORIAL DISTRICT. SB1533 SD1 RELATING TO TAXATION. SCR45 SD1 SUPPORTING THE GOVERNOR'S EFFORTS IN INVESTIGATING AND URGING THE BANK OF AMERICA TO RETURN TO HAWAII TO MEET WITH NA PO‘E KOKUA AND THE HAWAII FAIR LENDING COALITION REGARDING A $150,000,000 LOAN COMMITMENT FOR NATIVE HAWAIIANS ON HAWAIIAN HOMELANDS. SCR46 APPROVING THE SALE OF CERTAIN LAND OWNED BY THE OFFICE OF HAWAIIAN AFFAIRS TO THE CITY AND COUNTY OF HONOLULU. SCR103 URGING THE INCLUSION OF NATIVE HAWAIIAN CULTURAL INTERVENTION TREATMENT PROGRAMS, WELLNESS PLANS, AND HOLISTIC LIVING SYSTEMS OF CARE IN THE STATE OF HAWAII'S RESPONSE TO THE RISE OF MISUSE AND ABUSE OF OPIOIDS OR ILLICIT SUBSTANCES IN HAWAII. SCR203 URGING THE CHAIRPERSON OF THE BOARD OF LAND AND NATURAL RESOURCES TO RENAME THE RUSSIAN FORT ELIZABETH STATE HISTORICAL PARK IN WAIMEA, KAUA‘I, TO PA‘ULA‘ULA. SCR207 REQUESTING THAT THE HAWAII STATE LEGISLATURE DECLARE ‘AWA AS THE OFFICIAL BEVERAGE OF THE ALOHA STATE. 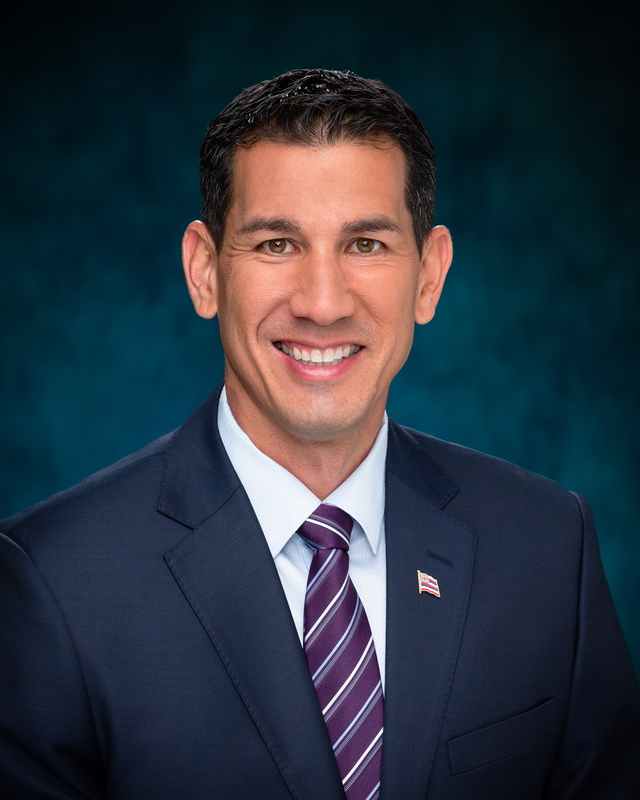 SCR213 URGING HAWAI‘I'S CONGRESSIONAL DELEGATION AND THE GOVERNOR TO COLLABORATE WITH THE LEGISLATURE TO ENSURE EXPEDITED BURIALS FOR VETERANS, DECEASED ACTIVE DUTY MEMBERS OF THE UNITED STATES ARMED FORCES, AND THEIR SPOUSES AT VETERANS CEMETERIES THROUGHOUT THE STATE OF HAWAI‘I. SCR214 SD1 SUPPORTING THE ‘IMILOA ASTRONOMY CENTER IN ITS EDUCATIONAL EFFORTS CONCERNING RESOURCES ON MAUNA KEA AT HALE POHAKU, ENCOURAGING THE TRANSFER OF EDUCATION OUTREACH AT HALE POHAKU, REQUESTING A REPORT REGARDING RESTRUCTURING OF THE INSTITUTE FOR ASTRONOMY AND MAUNA KEA SUPPORT SERVICES, AND REQUESTING THE CONTRIBUTION OF FINANCIAL CAPITAL TO CONSTRUCT THE ‘IMILOA UKA FACILITY. SCR215 SD1 REQUESTING THE DEPARTMENT OF EDUCATION TO CONVENE A WORKING GROUP TO IDENTIFY FACTORS AND RESOURCES NEEDED TO SUSTAIN CURRENT AND FUTURE ROBOTICS PROGRAMS WITHIN THE DEPARTMENT OF EDUCATION. SCR216 REQUESTING THE DEPARTMENT OF TRANSPORTATION TO CONDUCT A FEASIBILITY STUDY ON UNIVERSAL PILOT BADGES FOR AIRPORTS IN THE STATE. SR32 SD1 SUPPORTING THE GOVERNOR'S EFFORTS IN INVESTIGATING AND URGING THE BANK OF AMERICA TO RETURN TO HAWAII TO MEET WITH NA PO‘E KOKUA AND THE HAWAII FAIR LENDING COALITION REGARDING A $150,000,000 LOAN COMMITMENT FOR NATIVE HAWAIIANS ON HAWAIIAN HOMELANDS. SR132 URGING ALL APPLICABLE STATE AGENCIES TO WORK TOGETHER WITH INTERESTED STAKEHOLDERS, INCLUDING THE HONOLULU HARBOR USERS GROUP, IN ASSESSING THE RISK OF AQUATIC INVASIVE SPECIES TO HAWAII, VECTORS, AND POSSIBLE MITIGATIONS, IN PREPARATION FOR THE ESTABLISHMENT OF NEW FEDERAL STANDARDS IN 2022. SR163 URGING THE CHAIRPERSON OF THE BOARD OF LAND AND NATURAL RESOURCES TO RENAME THE RUSSIAN FORT ELIZABETH STATE HISTORICAL PARK IN WAIMEA, KAUA‘I, TO PA‘ULA‘ULA. SR172 URGING HAWAI‘I'S CONGRESSIONAL DELEGATION AND THE GOVERNOR TO COLLABORATE WITH THE LEGISLATURE TO ENSURE EXPEDITED BURIALS FOR VETERANS, DECEASED ACTIVE DUTY MEMBERS OF THE UNITED STATES ARMED FORCES, AND THEIR SPOUSES AT VETERANS CEMETERIES THROUGHOUT THE STATE OF HAWAI‘I. SR173 SD1 SUPPORTING THE ‘IMILOA ASTRONOMY CENTER IN ITS EDUCATIONAL EFFORTS CONCERNING RESOURCES ON MAUNA KEA AT HALE POHAKU, ENCOURAGING THE TRANSFER OF EDUCATION OUTREACH AT HALE POHAKU, REQUESTING A REPORT REGARDING RESTRUCTURING OF THE INSTITUTE FOR ASTRONOMY AND MAUNA KEA SUPPORT SERVICES, AND REQUESTING THE CONTRIBUTION OF FINANCIAL CAPITAL TO CONSTRUCT THE ‘IMILOA UKA FACILITY. SR174 SD1 REQUESTING THE DEPARTMENT OF EDUCATION TO CONVENE A WORKING GROUP TO IDENTIFY FACTORS AND RESOURCES NEEDED TO SUSTAIN CURRENT AND FUTURE ROBOTICS PROGRAMS WITHIN THE DEPARTMENT OF EDUCATION. SR175 REQUESTING THE DEPARTMENT OF TRANSPORTATION TO CONDUCT A FEASIBILITY STUDY ON UNIVERSAL PILOT BADGES FOR AIRPORTS IN THE STATE.